Martin County, Saint Lucie County, Okeechobee County, Palm Beach County and Broward County Florida. WaterShield HYDROCOAT coating by SuperGlass repels water, makes cleaning bugs and debris quick and easy, and increases your visual acuity by up to 38%. WaterShield HYDROCOAT creates a smoother surface on your glass, actually making it clearer, and eliminating debris buildup and water stains. It makes your windshield perform better than brand new, and helps keep hard water from staining your shower doors and house windows too! SuperGlass FL, INC. is an independently owned franchise. When it comes to service... We come to you! 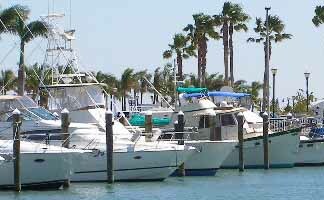 SuperGlass FL, INC. will restore your fixed windows, sliding windows, on various types of boats and yachts. Restoration of glass and acrylic is done at your location. Scratches, scuffs, pitting, discoloration and yellowing on acrylic. We can restore your glass windows, acrylic windows at a fraction of the cost of replacement. Our restoration services are amazing. Don’t replace your marine windows if you don’t have to. Stained, scratched or discolored acrylic and glass can simply be restored. This saves you money and we make it look brand new! We provide the highest quality, efficient and cost effective services. The cost of restoring or repairing damaged glass is usually 10% to 15% of the cost of replacing it. Save time and money through our quick mobile service. Additional costs are saved by eliminating a service charge, installation labor and debris removal charge. No molding needs to be removed. Glass repair and restoration keeps it OUT of our landfills, which is comprised of 8 to 12% of glass! All glass repair companies are not alike. SuperGlass stands out as a leader in technology, training and customer service because our crack repair programs and acrylic and glass restoration servies are designed with customer satisfaction in mind, not budget or logistical difficulties. Copyright © 2013 - 2017 SuperGlass FL, INC. • SuperGlassFL.com. All rights reserved.